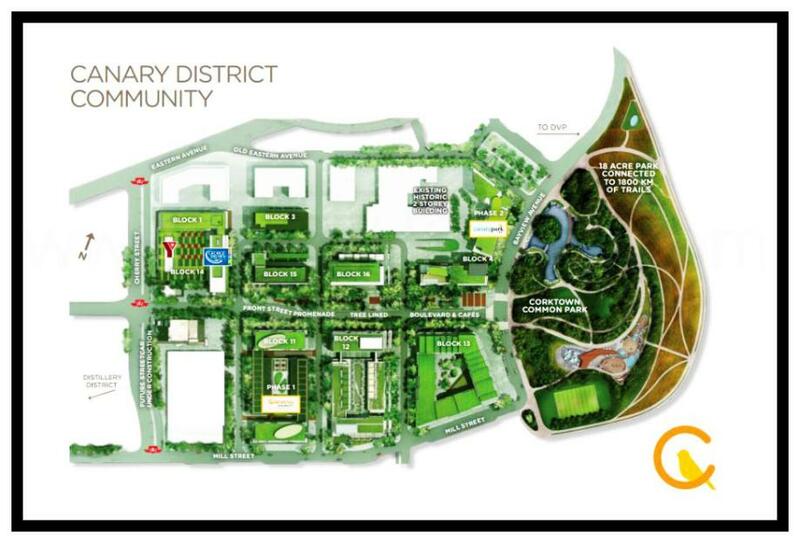 CANARY BLOCK IS BLOCK 16 OF THE CANARY DISTRICT MASTER PLANned COMMUNITY COMING SOON! Canary Block is Block 16 from the Canary District Master Planned Community currently in pre-construction at Front Street East and Cherry Street in downtown Toronto by Dream Development (formerly Dundee Developments) and Kilmer Van Norstrand Co. Limited. Canary Block will be a new addition to the "award-winning, 35-acre community in Toronto's fast growing downtown east". This master planned community is designed to "focus on health, wellness and convenient living" and the community is also located next to the new 18-acre Corktown Common Park situated near the Don River. 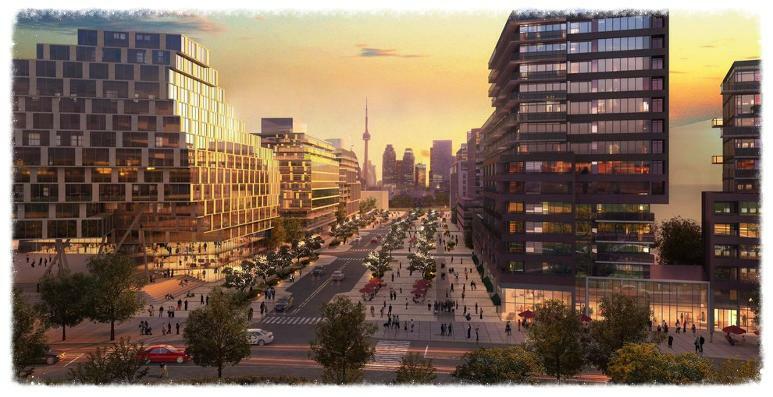 Two developers from Toronto have collaborated to "bring the visionary Canary District to life". Kilmer Van Norstrand and Dundee Realty (now known as Dream) are creating a "master-planned neighbourhood with thousands of new homes, shopping, dining, public art and sports facilities". The Canary District master planned community is an "ambitious $514 million neighbourhood in the West Don Lands" and is being built in phases. The first phase of this project included the Canary District Condominiums located on Block 11 as well as the George Brown College Residence located on Block 1 and the YMCA which is located on Block 14. The second phase included the Canary Park Condominiums located on Block 4 and affordable rental housing located on Blocks 3 and 15. The third phase is the Canary Block Condominiums which will be located on Block 16. This neighbourhood is being built "on the principles of green living to become a sustainable, health and wellness inspired, pedestrian-friendly destination". This community was "last year's BILD Community of the Year" and also "served as the Athlete's Village" during the Toronto 2015 Pan Am Games. The project name Canary came from the legendary diner located at the corner of Front Street East and Cherry Street and was in business from 1965 to 2007. The Canary Restaurant thrived back then in the "industrial hub" but had to serve "its last meal in 2007". However, the building and its name lives on and "will become the gateway to a new urban village". "Canary District will maximize qualities that contribute to urban livability such as access to fresh air, the outdoors, sunlight, views, amenity, and public transit as well as a balance of public and private space. The overall design meets LEED® Gold criteria and honours Toronto’s Mandatory Green Building requirements to create a self-sufficient and diversified neighbourhood in which residents can live, work, and play." Canary Block will be a welcoming addition to "the largest urban village in the city’s history" in Toronto's new downtown east close to the Gardiner Expressway and the Don Valley Parkway in the West Don Lands neighbourhood. It is also situated not too far from Cherry Beach, the Queens Quay East and Lake Shore Boulevard East. The Ashbridges Bay and Woodbine Beach are located further to the east of the site and the St. Lawrence Market is located to the west of the site. Live close to nature. Live close to the lake. Live at Canary Block coming soon to the Canary District master planned community. Register with us today for more information on the Canary Block by Dream Development and Kilmer Van Norstrand Co. Limited! For more information, please register today for the Canary Block Condos.